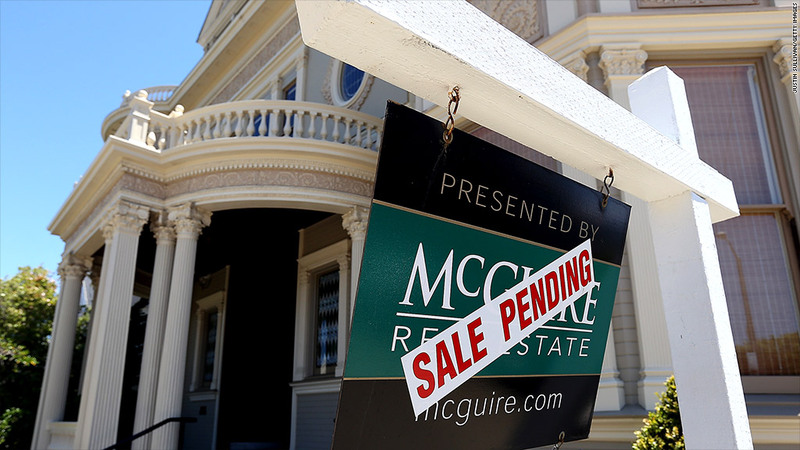 Mortgage rates fell to a new record low after the Federal Reserve's decision to buy billions in home loans continued to ease costs for home owners and buyers. The average 30-year fixed-rate mortgage fell to an all-time low of 3.36%, according to a weekly survey by mortgage finance backer Freddie Mac. The rate dropped from 3.40% the previous week. The fixed-rate 15-year mortgage also hit a new record low of 2.69% from 2.73% a week earlier. Rates have been falling to news lows since the Fed announced last month that it would buy $40 billion in mortgage-backed securities each month. The central bank hopes that keeping interest rates low through this policy, known as quantitative easing, will fuel home buying, which will lead to more spending, and eventually more hiring. Economists are betting that low mortgage rates would give home buyers the confidence to pay more for homes. Already, home prices have rebounded to the same level they were nine years ago. There's also been a pick-up in sales of existing homes, a leap in new home sales prices , and an increase in home construction, all of which have invigorated the housing market. Economists surveyed by CNNMoney said they are encouraged by the reports and believe that the nation's housing market has finally turned a corner. Of the 14 economists who answered questions about home prices in the survey, nine believed that prices have already turned higher or will make that turn later this year. Only three months ago, half of the economists surveyed by CNNMoney believed a turnaround in prices would not take place until 2013 or later.